Ross Leonhart graduated from University of Maryland’s journalism program in December of 2011. On Super Bowl Sunday in February of 2012, he packed up his car and moved to the Vail Valley to start as a copy editor at the Vail Daily, not knowing how to snowboard or what a Back Bowl was. Now the assistant editor, Leonhart has been a copy editor, copy chief, reporter and entertainment editor at the Vail Daily, as well as On the Hill host at Beaver Creek. 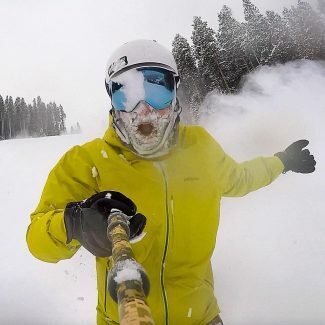 Leonhart’s two passions since moving to Colorado have been working for the local newspaper and snowboarding — usually getting well over 100 days on the mountain each season and over 1 million vertical feet. The best part about working for the Vail Daily, Leonhart says, is telling the stories of the community. Leonhart also manages the Everything Vail Valley magazine, a weekly guide to what’s going on around the valley — where to play, stay, shop and eat. In 2019, Leonhart hopes to implement a Spanish page into the Vail Daily as well as get the newspaper Actively Green certified through the Walking Mountains Science Center sustainability initiative. Follow Leonhart on Instagram at colorado_livin_on_the_hill.